Denim and multicolored embroidered clog with slip on construction with single adjustable buckle fastening heel strap. Wooden platform with metal pin studs which fix to the upper sole. Square toe front shape. Alexander McQueen branding on the sole. Rubber sole gives grip. 10cm heel height. Here is the back view of the same embroidered clog. It is very possible that the above pictured clog could become one of the best shoes of 2016. 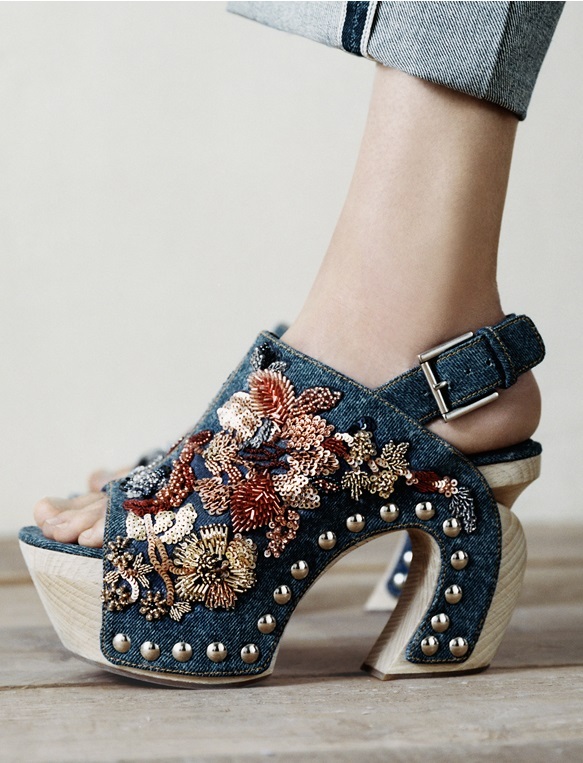 Shop for Alexander McQueen clogs and other fashion items at their website. See more top shoe styles on our Pinterest shoe board.